MotorDog69's Set Screw License Plate Mount Setup. Coin Mount Fits 1 3/4" Challenge Coins. • License Plate Setup mounts to either top or bottom of your License plate, the license plate bracket has 4 different screw heights adjustments for flexability and different coin mounting positions . Once it's mounted it looks like it's part of your bike. • USA Patented and Engineered, show chrome plated, other finishes available. 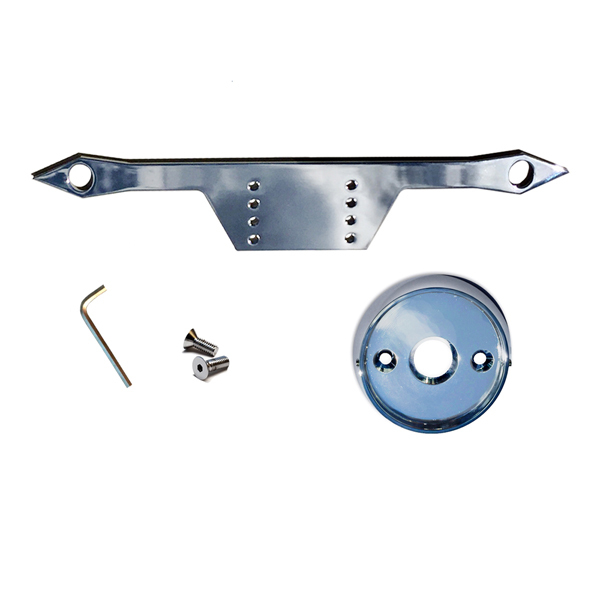 • Setup Includes: Set screw chrome license plate bracket, challenge coin mount, challenge coin shown for display only, set screws, mounting screws, allen wrench, and easy to follow Instructions. Personalize Your Ride Today!